The Esplanade Association unveiled a blueprint this month that would expand access and amenities for the park. RE ADRIAN Walker’s Feb. 11 Metro column “Rethink the Esplanade’’ : The Department of Conservation and Recreation’s Esplanade receives thousands of visitors each year, playing host to some of Boston’s most phenomenal events, programs, concerts, classes, lessons, and games. It is far from underused, as the column suggests. Each night hitters crowd the Ebersol ballfields, steps from the Hatch Shell. Children play in the Lee wading pool and clamber over the new Playspace. The paths remain a popular destination for families. On July Fourth, thousands crowd the banks of the Charles River for the annual tradition of the Boston Pops and fireworks. On that night, the DCR hosts its biggest, but by no means only, show. Whether the events on the Esplanade are private, public, historic, cultural, or recreational, the Esplanade is never far from the DCR staff’s minds. Under the Patrick-Murray administration, the DCR has invested more than $30 million in and near the Esplanade since 2007. 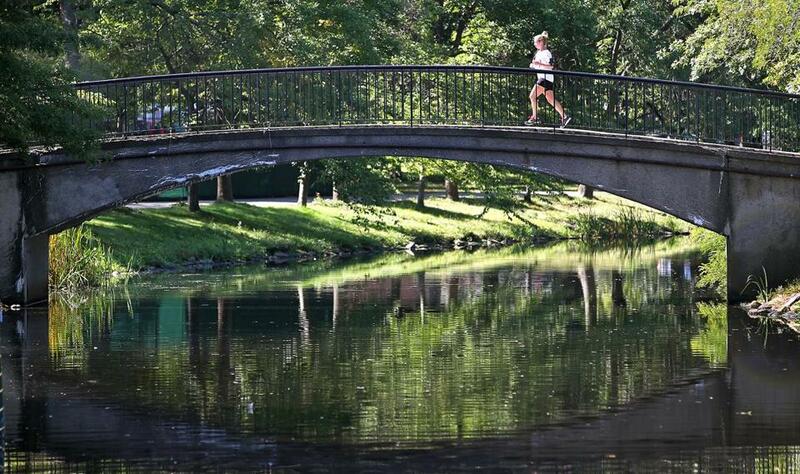 With more than 450,000 acres of parkland statewide, the agency considers the Esplanade’s 63 acres a signature park. Our investments have funded a number of projects including an annual arbor-maintenance program, the Ebersol fields, rehabilitation of Storrow Drive and the recreational facilities at Soldiers Field, and renovations to Esplanade docks. This year, the DCR will continue to restore and improve the Eliot Memorial. The DCR will continue its collaborative work with members of the public to enhance and maintain this incredible park. We look forward to exciting things to come.